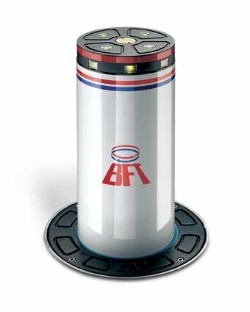 BFT Stoppy Kit For Electric Rising Bollard Operation. STOPPY L : Underground rising bollard in galvanised steel. Lifting thrust 70kg, degree of protection ip 67, stroke 500 mm, weight 85kg. 8 radial and 4 axial LEDs, which can be set as fixed or blinking, are positioned around the top cap to make the bollard more obvious in all conditions. STOPPY LAR : As above, but with resistor kit and antitheft kit. Resistor kit: for protection against cold and frost, and the consequent risk of system locking, an electric resistor is activated which raises the temperature and maintains the actuator perfectly efficient. 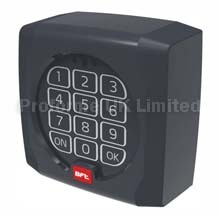 Antitheft Kit: for protection against any attempt to tamper with the bollard, a special device is activated which sends a signal connected to an alarm or antitheft system. STOPPY F : Fixed bollard in galvanised steel. Download STOPPY PDF File. Here.